Growth is important, but it’s also difficult, and for Brian Balfour, people think too much about growth without taking the time to face the harsh realities of what it takes to get there. Growth is the end game. The goal should always be to focus on the strategies that will get you there and executing. 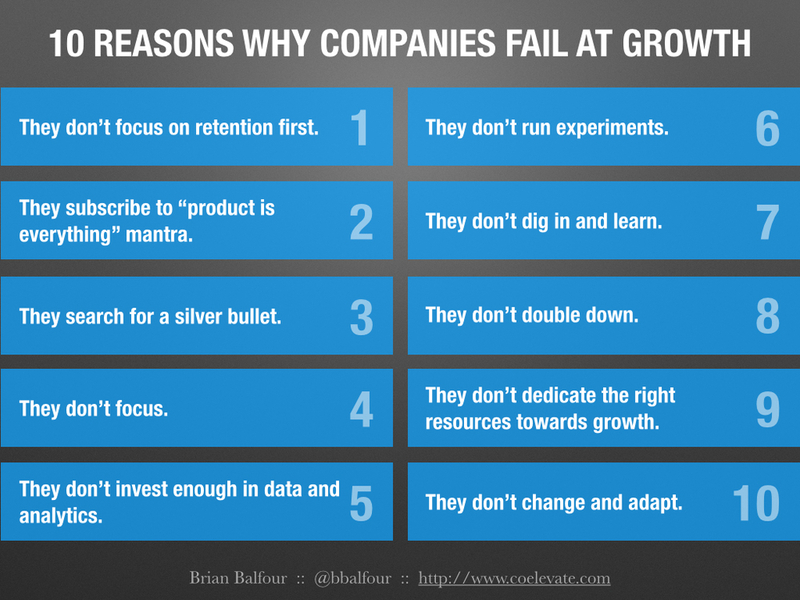 Brian has laid out 10 mistakes that companies make when trying to grow and what you can do to get past them.